The opening race at Naas on Saturday is the Connolly's RED MILLS Irish EBF Auction Novice Hurdle, where the top weight City Island can continue his fine run of recent form for Martin Brassil. Three wins from four - his only defeat coming in a bumper on debut, this 6yo has looked smart and efficient in a couple of maidens towards the end of last year - at Galway and most recently Leopardstown. That win over Christmas has been franked since and longer trip should this horse with a Ballymore entry in mind at the Cheltenham Festival. Division I of the Cavan Developments Maiden Hurdle can go the way of Empire Escape, who lost all chance two weeks ago here when being brought down by the faller Chapati. Gets another ago on what will be only his fourth start on a racecourse. Finished a moderate fifth on stable debut also here back in December, and appears to be learning all the time. Representing a top yard, so clearly possesses high qualities. Division II looks much more open and is beginning to take the shape of a betting minefield, however Fauguernon looks the most attractive of these and can built on his opening fifth-placed finish on debut for Noel Meade. That effort only came a few days ago at the end of January, having been purchased from France on the flat. Again, another individual from a top yard, so trainer along with connections at Gigginstown must have seen something they like in his juvenile days to believe he possesses strong ability going forward. 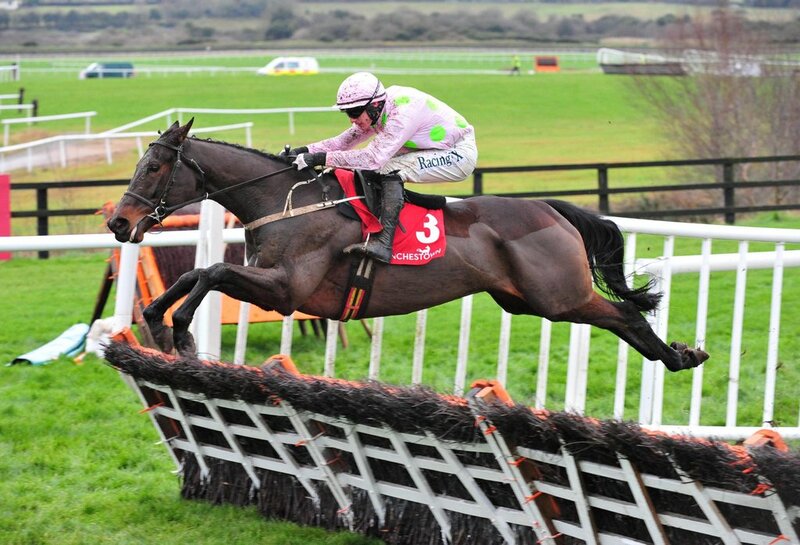 Kept on at the one-pace on hurdles bow at Fairyhouse and should come on leaps and bounds. A smart winner at Limerick in a Beginners Chase, Pravalaguna definitely deserves her chance in the feature contest at Naas this weekend - the Mares Listed Chase over two miles. That was her second start over fences for trainer Willie Mullins after a somewhat encouraging debut at Killarney, having ended her hurdling career in good style at Punchestown last April. Highly progressive, and open to further improvement. Next up is the EMS Copiers Rated Novice Hurdle, and Konitho can continue the fine form currently being experienced by last year's Irish Derby winning Trainer Joseph O'Brien. Although that was on the flat, his exploits over jumps have not been too dissimilar - with a number of high fancies at the upcoming Cheltenham Festival. He could have a late claim for another with Band Of Outlaws, but we think Konitho looks the best in this, having scored easily on stable debut over the course and distance two weeks ago. A repeat of that should stand him in good stead, with a jockey on board also bang in the midst of a purple patch. Ask Nile has been a very busy boy of late, and having gone close at Thurles last month, surely a win is set up for him in the O'Driscoll O'Neill Handicap Chase. A beaten favourite by a horse almost double his age last time just indicates the never-ending streak of bad luck he has had in front of goal - last scoring in May of 2017 at Killarney. Since then a number of good efforts - with a few placings. A very likeable type who now attempts to go back up in trip to reverse his fortunes. It could be a very good day for Joseph O'Brien and recent 'flash your cash' shower JP McManus, as they combine again with Leave Your Mark in the Adare Manor Opportunity Handicap Hurdle. A creditable third in a maiden back in November, finishing under a length down could of been different any other day, and after a short break he is ready to fire again. Very lightly raced and much more to offer. The Jordan's Centra Pro/Am National Hunt Flat Race completes proceedings at Naas on Saturday, and Front View - you guessed it.. O'Brien and McManus look to have the best chance again. Plenty of these are unraced or experienced, whilst Front View could have the best view of all from the front end, as he looks to follow up his charming second on debut. He finished ten lengths down on Blue Sari at Gowran Park, who has since been purchased by McManus and is trained by Willie Mullins. Can give the form a big old boost, and looks the one to beat.